Just look at the pic above. Lemongrass appears to be a substantial, almost “meaty” root. The essential oil of lemongrass definitely has a substantial scent, and I would dare say is one of the more popular oils. In general, men like the deep gutsy scent, women adore the verve and vitality and kids and pets resonate with it’s fresh yet syrupy energy. It is a universally appealing oil and is accessible and inexpensive. Lemongrass is a great oil for energising and creating energy where there is lack. In cooking lemongrass gives a zingy, lemony bite to a dish. I often use the oil with clients when they are lacklustre. It’s like the giddy-up oil. The get-going oil. Lemongrass is great for summer to ward off insects – just put some drops straight onto your skin to keep away the mosquitoes. Lemongrass is great for winter as it helps to start you up on a cold morning. Lemongrass is fantastic for spring to clear away the cobwebs of winter. 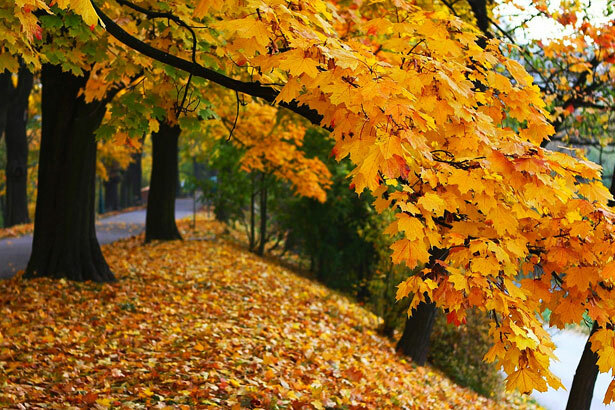 Lemongrass is wonderful for autumn as a mood enhancer when you realise summer is coming to an end. 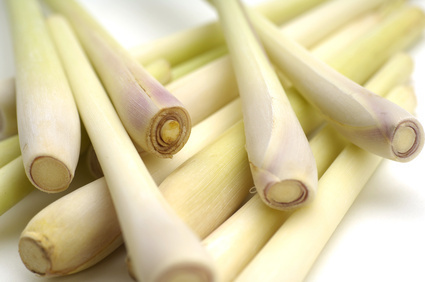 The main active ingredient in lemongrass is citral. Then there’s lots of other little helpers including geraniol, limonene and nerol. Can you guess what other oils these belong too? If you said geranium, lemon and neroli you are right. These molecular structures are found in other oils too. Each essential oil has its own character that is created by different chemical consituents but it’s hard to pinpoint the magic. It’s all about the old adage “the whole is greater than the sum of its parts”. This refers to the energetic presence an entity has. You can break down a plant into scientific measurements, but its the synergistic combination of all the little molecules that makes it unique. With essential oils, their uniqueness is their scent. 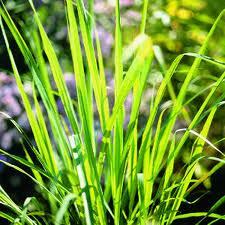 The scent of lemongrass can been described as lemony, herbaceous & strong. A little goes a long way. It’s a very tropical scent and is grown in hot areas in Asia and Africa. Perfect for bringing the warmth of the tropics into your life. Try a few drops in the shower for an awakening steam treatment or making an energising essential oil body blend. Stay tuned for more recipes! This entry was posted in Essential Oil Profiles, Essential OIls and tagged aromatherapy, clear your mind, consciousness, daily ritual, essential oils, essential oils for a change of season, essential oils for aches and pains, essential oils for anxiety, essential oils for digestion, essential oils for energising, essential oils for happiness, essential oils for improving your mood, essential oils for kids, essential oils for the elderly, essential oils to wake up, fresh scents, lemongrass essential oil, shower steam with essential ols, universal scent by suzannerbanks. Bookmark the permalink.